Zappiti ontwerpt en produceert alleen professionele kwaliteit videomanagementsystemen; leveren van de hoogste kwaliteit, uitstekende prestaties en de best mogelijke gebruikerservaring. Alle Zappiti-producten zijn ontworpen om onze eindgebruikers te voorzien van gemakkelijke en intuïtieve toegang tot hun gehele collectie filmbibliotheken, in verbluffende 4K, High Definition-resolutie. De bekroonde Zappiti-apparaten worden met succes gebruikt om de kijkervaring van films te verbeteren, in residentiële en commerciële omgevingen over de hele wereld. De Zappiti Duo 4K HDR zet een geheel nieuwe standaard voor home entertainment. Het ondersteunt de meeste digitale audio- en videoformaten, waaronder de modernste HEVC-videocodec met één miljard kleuren (10-bits kleurcodering), alle moderne 3D-videostandaarden met 3D-ondertitels en functies HDMI 2.0a, 4K 60p, HDR, DTS: X voor de best mogelijke thuistheaterervaring. Forget expensive outboard video processors… with Zappiti, you're living the video dream! 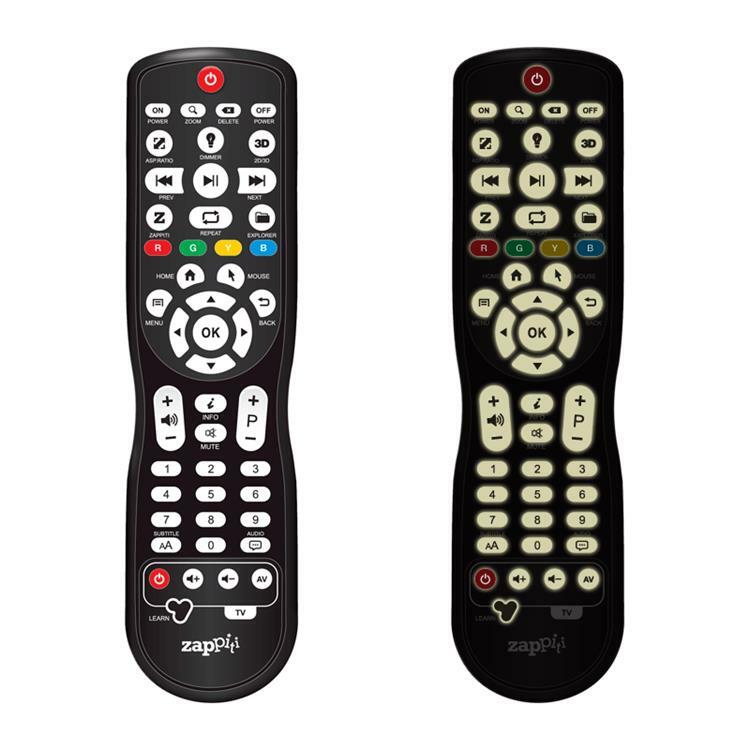 The Zappiti Duo 4K HDR incorporates Zappiti MagicPixel v2 technology, which offers outstanding picture quality - far better than the previous generations - with improved dynamics, accuracy colorimetry, more contrast, solid deinterlacing and better upscaling (up to 4K resolution). Even on a Full HD 1080p TV or a front projector, you will be astounded by the improved image of your display! 3D also offers greater image depth and an impressive, immersive effect. Zappiti Duo 4K HDR features HDMI 2.0a output to provide the best compatibility with latest 4K video content such as 4K60p or HDR. Zappiti MagicPixel upscales your video files up to UHD (3840x2160) into 4x times Full HD! The high-quality upgrade dramatically improves video image quality. If you don't own an Ultra HD 4K display, don't worry! In addition, Zappiti "4K Full HD" technology converts Ultra HD video content into extremely high-quality 1080p uncompressed 4:4:4 video to enjoy 4K content on Full HD 1080p displays. This process increases the resolution by about 30% compared with Blu-ray on a 1080p TV. With Zappiti MagicPixel v2, the benefits of 4K are not restricted to large screen sizes. And in addition to movie covers collected from various databases, Zappiti offers its own base of movie covers — Zappiti Db. These thousands of posters were specially designed by the Zappiti graphic design team to perfectly adapt the Zappiti display ratio. Thanks to these high-quality movie covers available in various languages, the titles of the films are always legible, the important visual elements and the texts are not cropped, and the posters are cleaned and standardized for the best possible visual experience. At this time, the Zappiti Db movie cover database contains about 9000 posters including the most popular and newest movies, but also many classics. And every day, dozens of new posters are added in the Zappiti database. With its 3.5 "SATA hot-swap rack, the Zappiti Duo 4K HDR is capable of supporting up to 16TB of data internally; the equivalent of about 300 Blu-rays on a single hard disk. And as it is possible to exchange hard drives, you have no capacity limit! With the Zappiti Duo 4K HDR, you no longer need to worry about storage problems. Supporting almost all video and audio formats, codecs and file containers, including all modern video standards such as HDMI 2.0a, Ultra HD 4K, HDR, 3D subtitles and HEVC / H.265 (up to 10-Bit), the Zappiti Duo 4K HDR sets an entirely new standard. The all new Zappiti Duo 4K HDR is equipped with an internal 3.5" SATA HDD dual-bay with hot swap function for huge total capacity (up to 32 TB) and offers powerful Wi-Fi 5G and Ethernet gigabit network capability. The Zappiti Duo 4K HDR is compatible with most audio and video formats such as ISO Blu-ray and UHD, M2TS, MKV, home theater audio (Dolby Atmos or DTS:X) and high-resolution lossless audio files up to 32 Bit. 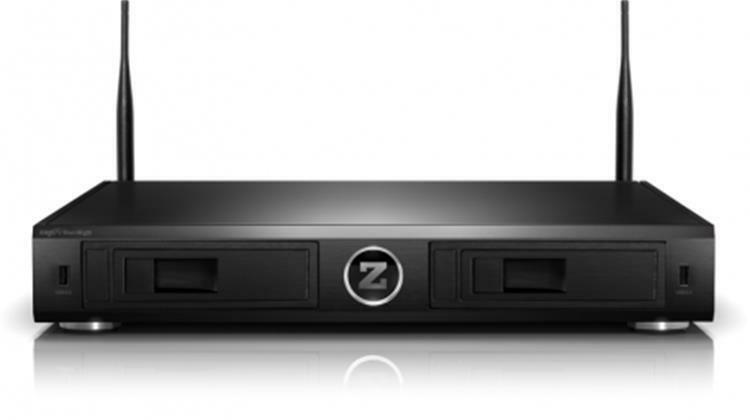 This media player is also compatible with the latest Zappiti applications : Zappiti Video, Zappiti Explorer and Zappiti Music.